Yahoo just got more beautiful! 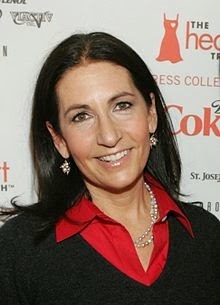 Bobbi Brown has announced on her blog that she is now the Editor in Chief of Yahoo Beauty. This year couldn't get any better for her as her latest book 'Everything Eyes: Professional Techniques, Essential Tools, Gorgeous Makeup Looks," hit the shelves this month and it has been doing relatively well. Bobbie mentioned that the site will feature product reviews, tutorials and original content. I have never gone to Yahoo specifically for beauty but now that one the best Makeup Artists is the Editor in Chief I will definitely be checking the site more often!